Printed calendars once held a position of importance and prominence both in domestic as well in the corporate world. Gradually with the advent of electronic calendars, paper calendars have seen a steady decline. There are some very distinct and specific advantages of using a paper calendar. Paper calendars add to the beauty of the overall space. They do not have security concerns and requires no intricate login passwords. Here are some samples of printed paper calendar templates and Calendar Templates for Kindergarten which you might find useful for your business needs. This desktop printable blank calendar has a white background for the dates and a JPEG image of pink roses won the other side of the paper. The calendar is available in 5 different languages namely English, Spanish, Portuguese, French and German. The calendar is fully customizable along with the image and is available in PSD format and comes accompanied with an EPS illustrated file. This sample of printable desk calendar is available in both portrait as well as landscape format. The high resolution images are reproduced using 3000X2000 pixel pictures. The images support 300 DPI and are easily editable through smart object. The calendar is available in PSD format and comes with a changeable side color bar and includes a help file for the users. This blank printable yearly calendar template has a very simple design. The calendar is available in portrait format and has all the dates written on check boxes on a blank white canvas. There is a customizable image at the bottom of the page with the provision of mentioning the name of the company. This example of the simple Printable Calendar is the perfect marketing tool for any business. This calendar follows a very minimalistic design, with the floral prints. Some of these calendars follow a single sheet pattern, while others are designed using 12 different sheets. The canvas used for printing is an A3 canvas measuring 11.7 x 16.5 inches. 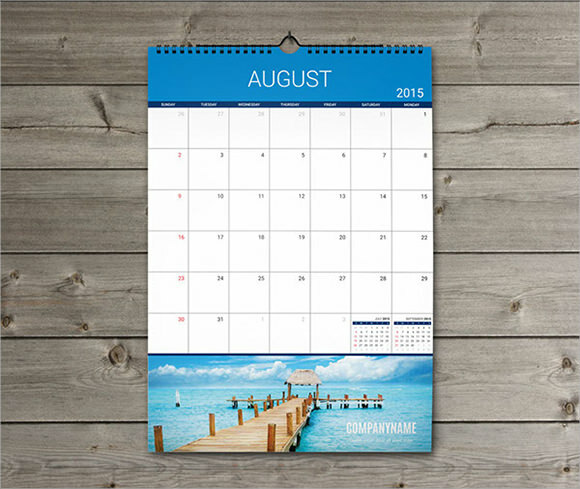 This example of simple printable calendar uses an 8X10 inch template with 300 dpi. The calendar is fully customizable including all the color and images. The sample comes in layered Photoshop format and can be printed at home. The calendar comes with an array of customizable fonts which can be used by the user to suit his varying needs. These examples of sample printable calendar templates usually cater to the wall hanging calendar pattern, with simple images usually consisting on floral designs or patterns. The background color is white and is available in PDF format. You can print this calendar both in A3 or A4 format without any loss of resolution in the images. 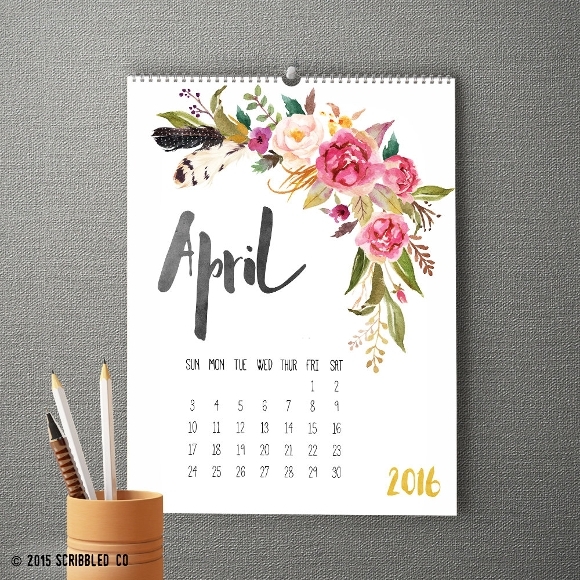 This sample of printable calendar monthly consists of 4 PSD files namely front, back cover, date and picture side. The dates given in this calendar encompasses two year format and follows a minimalist pattern and design. The calendar supports CYMK colors and is available in 8.5X8.5 print dimensions. This sample of printable wall calendar Template provides an excellent opportunity of planning your day, month and year in advance. The calendar has a simple design and is divided into three sections. The first section is dedicated to the specific day of the week, followed by the month and the year respectively. 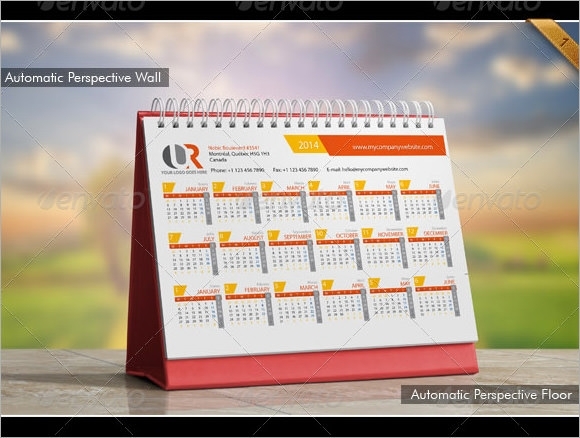 This sample of printable calendar template 2015 is available in a 12 page format. The design is very simple and the colors used are black and white. Different exclamations are used to denote different months of a year. The calendar is available in PSD format. A printed calendar brings back several nostalgic memories and still remains one of the most effective tools of small scale marketing. 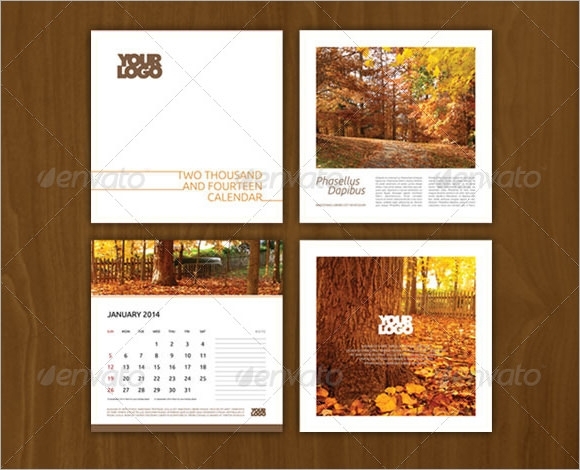 These sample templates of a printable calendar would help you to sell your brand more effectively to your customers.